The first step is to get opt-in (Allow) from visitors. After you have implemented our web-based SDK, a user will arrive on your website, and an opt-in box is triggered. If the visitor clicks on “Allow”, he/she is added to your subscriber list which can be seen on your console after you have registered. In addition, you will also be able to see how many push notifications you have sent, how many were clicked on and how many active users you have. As soon as a ‘visitor’ becomes a ‘subscriber’, you can send them push notifications from your website. These notifications will arrive in real-time. Clicking on the notification will take the subscriber to the URL specified. An important point to note about website push notifications being a permission-based channel is that this permission can be revoked very easily. Users can simply right click on any notification and block further notifications from a particular site. What this means is that, your push notification subscriber list is pretty high quality, since the people who remain your subscribers are actually interested in hearing from you. On the flip side, it also requires that websites craft compelling push notification content to keep subscribers engaged (Learn More). In Addition, we have our own monetization solutions integrated into our system to allow Yahoo and Google to monetize your traffic. If you want the high quality monetization option we will enable it for you as this option is also google compliant. 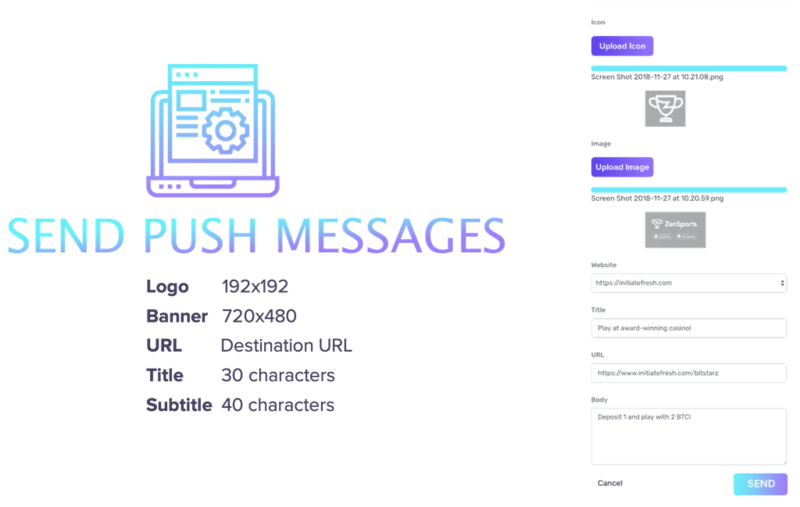 Website push notifications are a powerful tool in the hands of businesses to communicate with their audience in real-time and at a very personalized level. Being aware of these few points above is critical if you want to maintain a healthy and engaged subscriber base and get more clicks and business results out of web push notifications.